Hello Friends!! 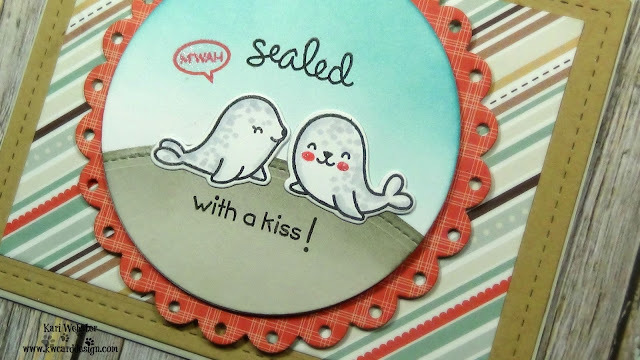 Today I am sharing this card using the Lawn Fawn mini set, Sealed with a kiss! This set was a Black Friday promotion only, but I am sure at a later date, LF will release this set for all to enjoy!! I did a bit of shadowing on these two adorable seals with my C3 Copic marker and added some dot detail to really bring the seals to life. 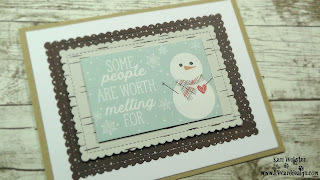 I also used some more of the Simple Stories Winter Wonderland papers. I love the detail to the cheeks of that right seal!! So cute!! 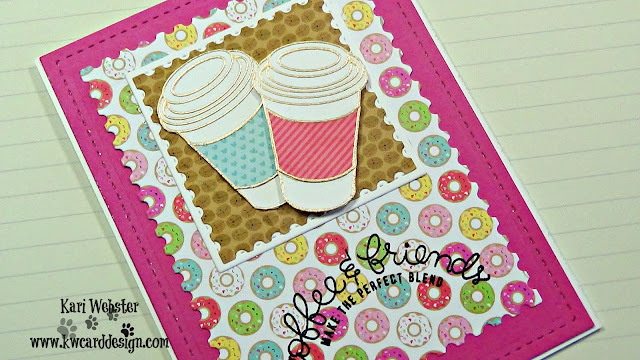 You could easily use a blush colored marker to add this, but it is fun to stamp it as well!! To see how I put this one together - I have the video below! 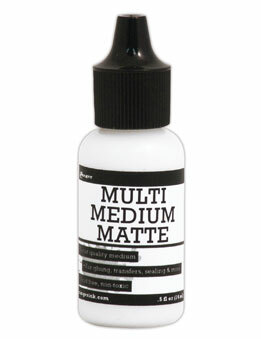 And, as always the supplies are listed below as well! Have a great day! Hey all! 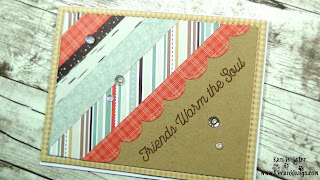 I'm here to share with you that I am kicking off a new series on my #youtube channel called 3 CARDS 1 6x6 PAPER PAD. I will feature a different 6x6 paper pad, and make three different cards with that same pad. I wanted to do this series to use my pattern papers more, but also give ideas on how to use up those dreaded scraps we all have! I won't be doing this as a back to back series, but more rather a once or twice a month thing on my channel. For this set of cards I feature Simple Stories Winter Wonderland. I love these papers and the color combination. 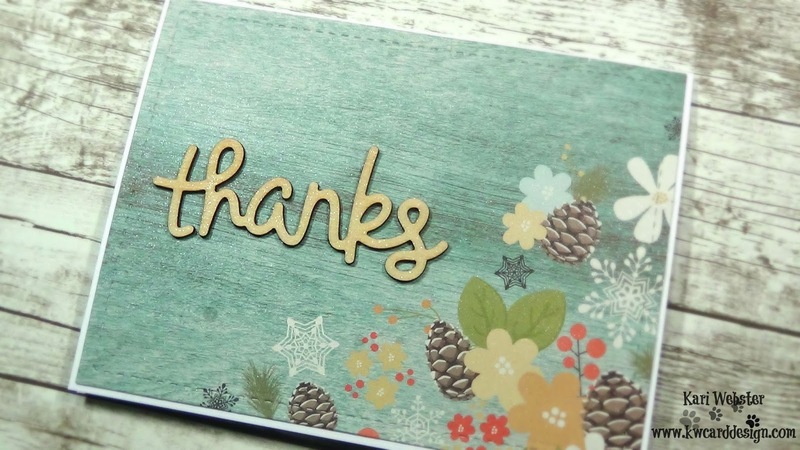 I also love the fact that they incorporate smaller patterns to create tags, and elements you could use on your cards as a sentiment and focal panel without having to use stamps if you didn't want to. I show you how to do this very thing on Card #1 in this video! Hi friends! 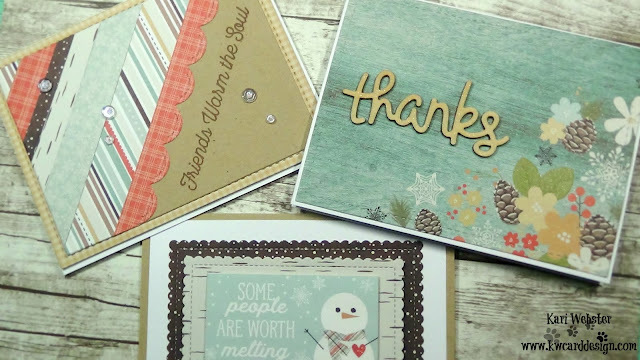 Today, I wanted to share the unboxing of the Feb. 2017 Card Kit from Simon Says Stamp, as well as show a tutorial using this kit. As I am writing this post up, the kit itself is sold out, but I have listed and linked the individual items and you are still able to get them outside of the kit. I wanted to incorporate as many of these adorable pattern papers from doodlebug on my card with out it looking too busy. And, I love the color scheme! For my coffee cups, I heat embossed them with some brass embossing powder from Hero Arts, and paper pieced the middle of the cups for a fun look. 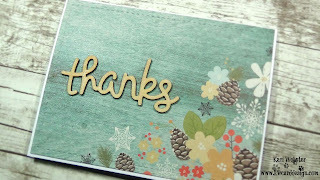 For my sentiment, I usually don't like to stamp directly onto pattern paper, but with the help of my MISTI stamping tool, the ability to stamp this 3 times created that bold black sentiment I needed for it to stand out. So, below I have the unboxing showcasing the contents of the box, and then onto the making of this card! Thank you all for stopping in today!! See you soon!